The racing version of the CLK GTR took both the drivers’ and teams’ championships in ’97 and ’98, winning 17 of the 22 races it entered. Both the racing and production versions were powered by a mid-mounted naturally-aspirated 6.9-liter V12 making 604 horsepower and 572 pound-feet of torque. Power was sent to the rear wheels through a six-speed sequential manual transmission. It looked mean, with a hooped rear wing and low-slung bodywork fitted with various vents and winglets. The front was also adorned with a Mercedes-Benz hood ornament. 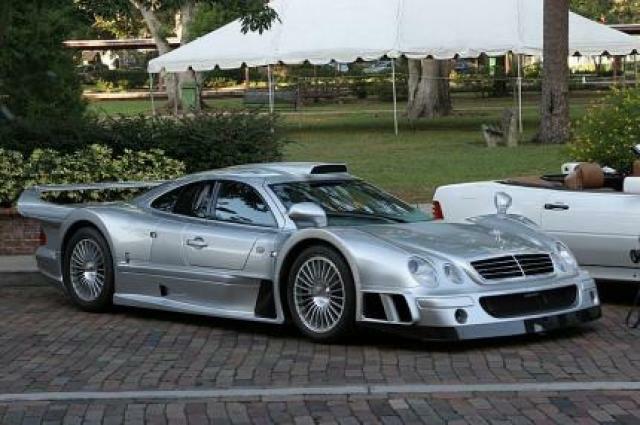 Of the 25 CLK GTRs built, 20 were coupes and five were roadsters. This car was originally sold to an owner in Germany. In 2005, it was sold and moved to Hong Kong. At the time, an inspection revealed that the car had its original paint, bodywork and engine, though the belly pan had been replaced. The original carbon-fiber pan was retained and stored. At the time, the odometer read 1,439 km. The car was imported to the United States in April 2018 under the Show and Display exemption. The car includes the original AMG SPS tool chest, original owner’s manuals and service booklets, SPS service documentation, manual folio, original spare keys, first aid kit, the original air compressor and tanks, hazard triangle and torque wrench. The car will be on auction alongside the 1962 Ferrari 250 GTO by Scaglietti, a car that could set records as the most expensive car ever sold at auction.